It’s a brand new year and with that comes the search for the newest, hottest beauty products of the year. 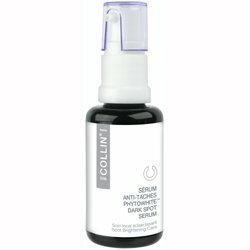 One particular product that many people want to know more about are dark spot correctors. Finding one that works well, is affordable, and doesn’t cause unwanted side effects can be tricky. To help you out, we’ve listed our favorite products below. 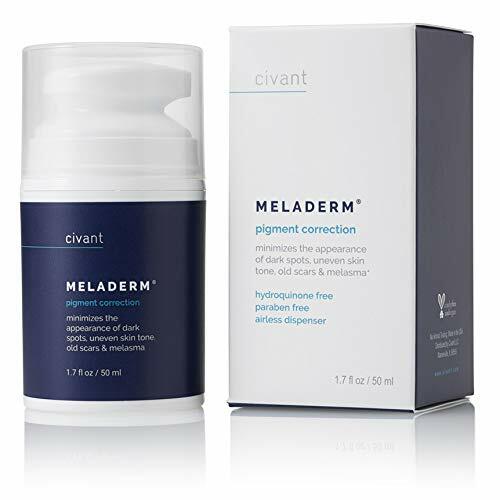 Topping the list, as it has for a few years now, is Meladerm, a skin lightening cream from a cosmetics company called Civant. 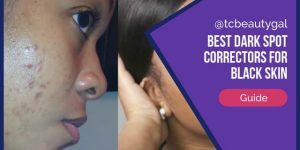 This product has proven to be highly effective at getting rid of stubborn dark spots, unwanted freckles, and even nasty scars left behind from acne breakouts. 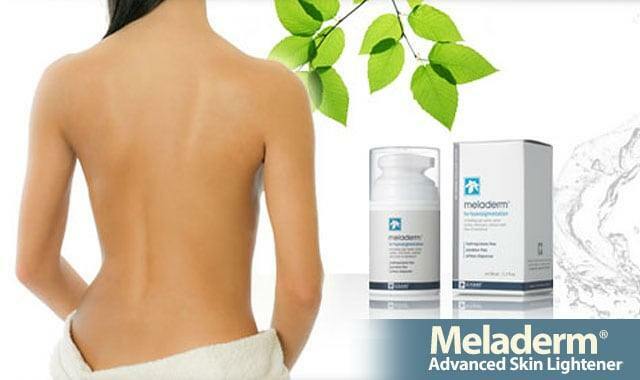 Meladerm is currently only sold online. It’s a topical cream that is applied to the affected areas daily. Civant backs this product up with a 30 day money back guarantee. This skin lightener is one of our absolute favorites and comes highly recommended. Reduces the appearance of hyperpigmentation such as age spots, acne marks, melasma and uneven skin tone. Over 10 advanced ingredients to target the appearance of hyperpigmentation. Airless dispenser to keep product fresh. No hydroquinone, parabens, mineral oil, petrolatum, sulfates or phthalates. Cruelty free and vegan. 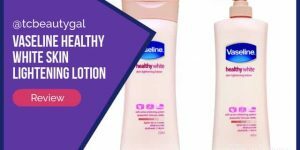 TriLASTIN is a well known brand that produces many high quality products including stretch mark creams, cellulite creams, and more. 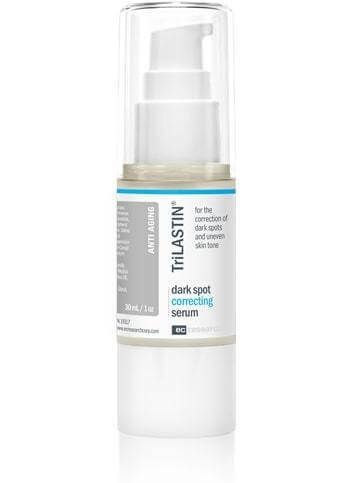 But one of their lesser known products, the Dark Spot Correcting Serum, is possibly one of their best. 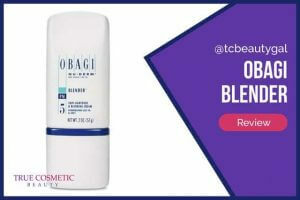 Capable of reducing age spots, dark spots, and other skin discolorations, this serum packs quite a punch. UPDATE: Sadly, EC Research, the company that owns the TriLastin brand, has discontinued this product. Keep reading below for more options! The serum is made up of bearberry, birch bark, licorice extract, and other natural ingredients that work together to brighten the skin, restore natural skin tones, and nourish the skin. 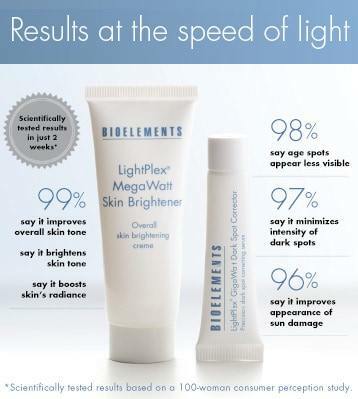 Bioelements’ LightPlex is another great product that you may want to give a try. It’s been clinically proven to help reduce the appearance of sun damage and hyperpigmentation. 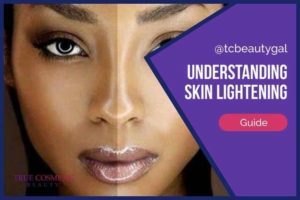 The study consisted of about 100 women and, according to published results, a whopping 97% of them claimed they saw improvements in their skin and reductions in dark spots after using the product. LightPlex is a bit pricier than some other correctors on a per ounce count. It’s meant to be used in conjunction with a quality sunscreen and recommended to use twice daily for optimal results. 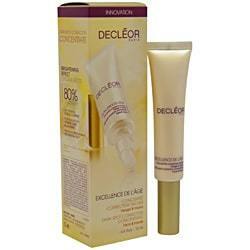 Taking the cake for the most expensive skin tone repair product on our list is Decleor. The product isn’t exactly cheap but, according to consumer reviews and other reports on it, it DOES work quite well. 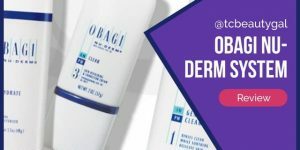 For obvious reasons a lot of people say that this dark spot treatment is too pricey but they did notice decent fading of spots and overall complexion improvements. One drawback is that this one can only be used on the hands and face. This definitely wouldn’t be our first choice but it’s a good alternative if you have the cash to spare. PhytoWhite, a skin brightening serum, is a product of G.M. Collin, a skin care company based in Paris. Their products have been featured in several publications including Cosmo, Elle, NewBeauty, and Bazaar. 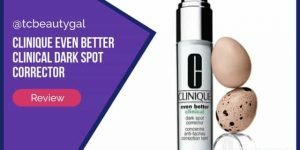 While the brand itself isn’t as well known as those mentioned above, their dark spot corrector has proven to be a great success. PhytoWhite will set you back a good bit, too depending on where you purchase it. But, based on consumer opinion and our own testing, it’s worth every penny.